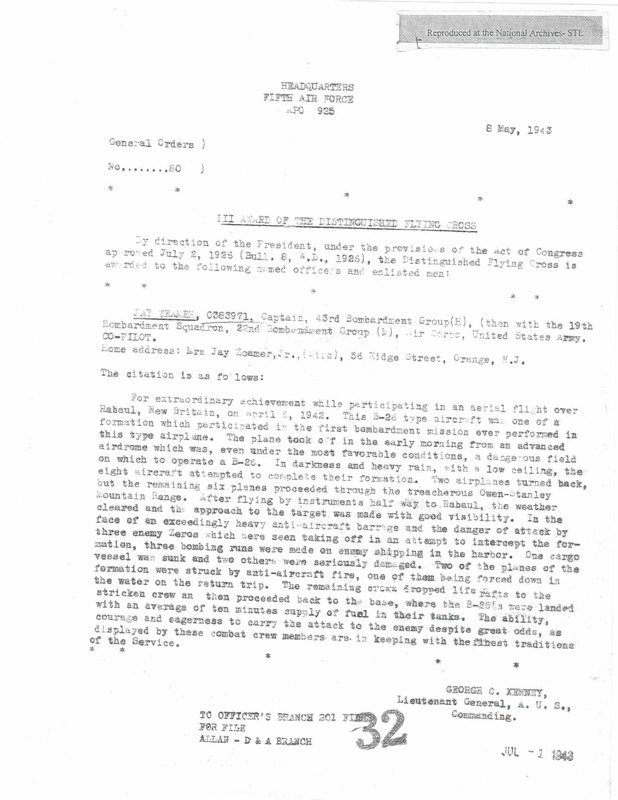 Orders awarding the Distinguished Flying Cross to Jay Zeamer Jr. 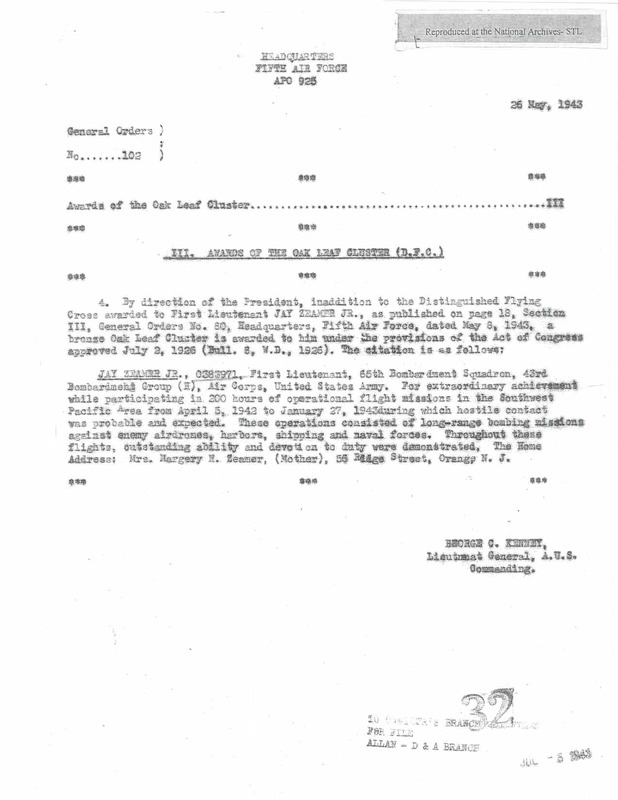 These are the general orders, dated 6 May 1943, from Headquarters, Fifth Air Force, awarding Jay Zeamer Jr. the Distinguished Flying Cross for a bombing mission on Rabaul, New Britain, April 6, 1942. It was the first combat mission ever performed in the B-26 Marauder.